Connecting creative professionals to unique places. The Bridgeport Art Center was established in 2001 and is a visually breathtaking creative home for artists, designers, and working professionals. Located in the former Spiegel Catalog Warehouse, this 500,000 square foot building boasts high ceilings with wood beams, exposed brick, and large windows with incredible city views. This raw industrial work space is suitable for inspiration, woodworking, metal design, office spaces, and manufacturing and distribution. 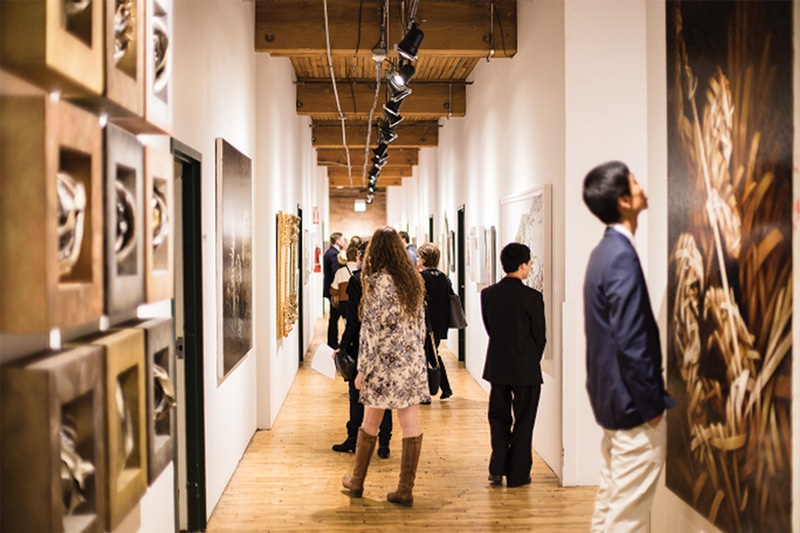 Besides our collective community, Bridgeport Art Center is also home to over 150 resident artists, the Fashion Design Center, the Chicago Ceramic Center, two stunning event venues, and four curated art galleries. Bridgeport Art Center continually seeks new ways to serve as a resource for creative minds and is a focal point of the emerging and evolving Chicago area art scene. The art center is also available for private events and space rentals. Join us every third Friday of the month from 7-10pm when painters, sculptors, photographers, fashion designers, woodworkers, and mixed media artists open up their studios with interactive demonstrations and special events. Explore four art galleries and enjoy complimentary wine and refreshments at this free event.